Welcome to The Ringer’s 2019 NFL Draft Guide. Consider this your hub for all things draft-related leading up to the first round on April 25. It’ll include prospect rankings, scouting reports, mock drafts, and much more—and best of all, we will be updating it regularly with new analysis that takes all of the latest developments into account. At launch, the guide featured Danny Kelly’s Big Board, highlighting the 32 players he was highest on coming out of college football season. That list soon expanded, and we unveiled the first of many mock drafts. On the heels of the combine, we rolled out thorough scouting evaluations of every prized prospect. And now we’ve added breakdowns of team needs from Robert Mays to make sense of the league landscape after a flurry of free-agent moves. Click through all the tabs to get the full breadth of our analysis, and look for more commentary from our stable of NFL writers in the weeks to come. Who will the Cardinals take at no. 1? Whose stock will rise and fall? Which future All-Pros are flying under the radar? Check back often to see where things stand. Draft season is officially on the clock. His diminutive size is the biggest question mark in this draft, but he’s got the playmaking talent, arm strength, and speed to become a superstar. Murray is one of the most fascinating draft prospects in recent memory. The Heisman winner and first-team AP All-American is an extraordinarily dynamic playmaker with top-tier arm talent, accuracy, and decision-making as a passer and Tarik Cohen–type elusiveness as a ballcarrier. The catch, of course, is his size. Murray is just a shade over 5-foot-10, and the scarcity of precedent for NFL quarterbacks under 6 feet tall is sure to give some teams pause. But Murray has the skill set to mitigate that obstacle: He’s shown he can play in structure and manipulate the pocket, keeping his eyes downfield as he slides and strafes to buy himself an extra beat or two to throw the ball. He has excellent arm strength and has little trouble whipping throws outside the numbers or launching bombs down the middle. He can take some heat off of passes, too, varying velocity and arc to give his receivers that Bill Walsh signature “catchable ball." Murray left a few deep throws short of his target, missed on some off-balance passes, and forced some throws into double-coverage, but overall, he was one of the most accurate quarterbacks in the nation at all three levels and posted the top Independent QB rating under pressure among draft-eligible passers. He lacks in-game experience, with just 17 starts in his college career, and played in an Air Raid–style offense, further muddling the evaluation of his passing skill. Murray brings rare agility to escape pressure and get outside the pocket, and is comfortable throwing to every level on the run. Once he decides to tuck the ball and run, he explodes downfield, effortlessly dissecting the defense to extract yards that don’t appear to be there. He’ll have to prove he can avoid big hits in the NFL, but he’s a home-run hitter on both designed runs and scrambles. Murray has all the tools to be a franchise quarterback, pairing a strong arm, accuracy, and sound decision-making with dangerous speed and elusiveness as a runner. He’s small, and, fair or not, comes with the injury-related reservations typically attached to mobile quarterbacks. Teams may worry about his long-term commitment to football given his flirtation with baseball in the past year. He’ll have to prove he can throw on-time and in the structure of an offense, and his lack of experience as a starter could portend a longer transition time to the pros. Slippery interior menace who combines physicality, burst, and violent hands to discard blocks and get into the backfield. Williams is built like a defensive tackle—with long, muscular arms, a broad torso, and thick tree trunks for legs—but moves with the agility and speed of an end. The 2018 first-team AP All-American is tremendously quick, capable of slicing past an opposing lineman and into the pocket or bounding from gap to gap, either alone or on a stunt. He packs power, firing out of his stance with a force that puts linemen on their heels. And his ability to use his hands makes him an extraordinarily slippery target for would-be blockers, with well-timed hand strikes, swipes, clubs, and swim moves regularly leaving his opponent lunging like a bull at a matador’s muleta. Even when offensive linemen do manage to get ahold of him, they struggle to latch on. He’s versatile, with the ability to line up all across the interior defensive line, and his pass-rush motor runs hot. The Alabama product is a difference-maker in the run game, able to stun then stack defenders, consistently keeping his eyes in the backfield to monitor run direction, hold blockers in place, then discard them and tackle the ballcarrier. He’s rarely pushed back off his spot, even against double-teams, and has the athleticism to chase down plays from the backside. He’s constantly in opposing backfields; of his 19.5 tackles for a loss last season, 18.5 came against FBS Power Five teams—tied for 11th in the nation. Williams’s Crimson Tide game tape plays like a highlight reel. He’s the most consistently disruptive interior lineman in this draft, fits in any scheme, and has the traits and size to develop into a Pro Bowler early in his career. His status as a one-year wonder in college could give teams pause. Williams played in a reserve role for the Tide as a redshirt freshman in 2017, registering 6.5 tackles for loss, including two sacks, in nine games. Packs power, explosiveness, and agility into a prototype pass rusher’s frame; he might just have more upside than his older brother. Bosa is a plug-and-play defensive end with a prototypical NFL frame. Rushing off either edge—and at times, heads-up with a tackle—he combines elite first-step explosiveness with pistonlike feet that churn all the way through the whistle and powerful, relentless hands that continually chop, swipe, and punch to shed the grip of offensive linemen. The former Buckeye often leaves opposing tackles looking like they’re trying to fend off an opening-bell salvo of body blows from Mike Tyson. Bosa has excellent ankle flexion to plant his foot, get low, and bend around the corner in pursuit of quarterbacks, but he does more than just attack the edge. He can also slice back inside and has the ability to convert speed to power, using burst off the line to get a tackle off-balance and overcommitted outside before bull-rushing him straight into the pocket with a forceful punch to the chest. In the run game, Bosa can grapple with even the most physical offensive linemen, using his long arms and strong upper body to hold them at bay while setting the edge. Bosa is a rare pass-rush prospect. He should be an instant-impact playmaker in either a 4-3 or 3-4 scheme, and comes with the physical tool set to quickly become a double-digit sack producer and Pro Bowler. A core muscle injury in 2018 limited him to just three games, so medicals could be a factor in teams’ evaluations. And, fair or not, some decision-makers may question his choice to leave his Ohio State team so early last season to prepare for the draft. Incredibly productive pass rusher with a mix of size, length, power, and quickness. Allen’s decision to come back for his senior season at Kentucky paid off: He won AP first-team All-American honors and the Bronko Nagurski Trophy as the nation's top defender after racking up 17 sacks (14 of which came against FBS Power Five teams, most in the country by a long shot), 88 tackles—including 21.5 for a loss—four passes defensed, and five forced fumbles. The former Wildcat looks and runs like a 4-3 strongside linebacker but has the pass-rush skill set of a 3-4 outside linebacker: He is an explosive, powerful athlete with a thick lower half and long arms who’s just as comfortable moving up field as a rusher as he is dropping back into coverage. Allen is explosive in his first few steps as a pass rusher—he closes on the quarterback in the blink of an eye and has the flexibility in his lower half to get low and bend around the corner. He drops back into space fluidly with a clear grasp of his landmarks and the pass lanes he’s responsible for taking away. He’s a do-everything playmaker against the pass. Against the run, he brings size and length to set the edge, and is physical and aggressive at the point of attack. He will let plays get outside him, though, and he can overrun plays at times. He’ll also miss some tackles, so he’ll have to develop more discipline in those areas at the next level. Allen combines top-tier athleticism and production with a rare deploy-him-all-over-the-field playmaking skill set. He’s a plug-and-play starter at outside linebacker in a 3-4 scheme. He’s still relatively raw as a pass rusher. While he’s got the size and speed profile to play a hand-in-the-dirt defensive end role in a 4-3 defense, he rushed predominantly from a two-point stance in 2018. Wrecking ball of a big man who spent his college career bowling through double-teams. Oliver is a compact, powerful defensive tackle with extraordinary athleticism and the versatility to line up at multiple spots on the interior. He explodes out of his stance and uses his low center of gravity to quickly establish leverage and put offensive linemen on their heels. The former Cougar can use go-to club and swim moves as a pass rusher to penetrate the pocket, and his agility to quickly change directions is off the charts. Against the quick-passing game, he shows awareness to get his hands up and jump to knock down throws, and he sniffs out screens and chases down plays from behind. While he does get overaggressive at times and relies on power and speed more than a fully developed pass-rush repertoire, his production at Houston was prolific: 192 tackles, 13.5 sacks, five forced fumbles, and 11 pass deflections over three seasons—and much of that came lined up at nose tackle. Against the run he’s a major difference-maker, and notched 53 career tackles for a loss. It’s tough for offenses to run the ball to his side because he’s consistently pushing offensive linemen into the backfield at the snap, and he’s got the speed to string out runs toward the sideline. On inside runs, Oliver uses his hands to discard blocks and grows roots at the point of attack; he’s rarely pushed back at the snap, even when double-teamed. He shoots gaps to stop plays in their tracks, and it’s difficult to seal him in the run game because he’s so quick laterally. He does lose sight of the running back at times, resulting in some runs going right past him. And his lack of length puts a cap on his effective tackling range; he simply doesn’t have the reach of some bigger, longer defensive tackles. His aggressiveness upfield makes him susceptible to trap/wham blocks. Oliver’s rare combination of size and explosiveness gives him almost limitless potential as a pass-rushing defensive tackle in the NFL. He’s not Aaron Donald, but in an attacking one-gap scheme, he’s got the physical skill set to become an elite interior penetrator. He’s undersized by traditional NFL standards and some teams may view him as a tweener. Oliver faced weaker competition at Houston (in the American Athletic Conference) than some of his peers, and a sideline argument with then–head coach Major Applewhite could raise questions. Smooth operator who combines strong hands with great footwork; could dominate at either tackle or guard. Williams has been a dependable pass-blocking stalwart for the Tide the past three years, with 44 straight starts under his belt. He kicked his college career off on the right side, starting 15 games there in 2016 before switching to the blind side the past two seasons, establishing himself as one of the best offensive linemen in the country. The 2018 first-team AP All-American is a fundamental technician, combining light feet, an effortless kick step, and balance, and he wastes very little movement in his pass sets. He times his punch well, rarely leaning or lunging at an opponent, and reacts to counter rush moves and stunts with ease. If he gets pushed back early in the down, Williams reacts well, gathering his feet to re-anchor. He lacks ideal length for the left tackle position, and he can be susceptible to pass rushers with effective long-arm moves that get him on his heels. Typically, his foot quickness and understanding of angles make up for his lack of length, but some teams may view him as a guard in the pros. In the run game, Williams brings plenty of power, especially on down blocks, and does well to position himself well to seal off defenders. He’s effective working to the second level, engaging his target then keeping his feet churning until the whistle. Williams is the premier technician in this tackle class, a plug-and-play starter with the versatility to contribute at multiple spots on the line. He lacks prototype left tackle size and length, and some teams may view him as an interior lineman only. High-cut defensive end who knows how to use his Mister Fantastic wingspan and extraordinary explosiveness to beat blocks. Sweat is a tall, athletic prospect with a massive wingspan and immense upside. The AP second-team All-American strikes at the chest of opposing tackles early in his rush, establishing leverage to rip through off the edge or bullrush straight into the pocket. He’s got an explosive first step and plenty of speed to chase down quarterbacks who break the pocket. And while he lacks the Von Miller–esque bendy athleticism to change direction on a dime, Sweat does use his length well to rake the arm of the quarterback, hit him, and, at times, bring him down with his outside arm. He’s got a good hump move (rushing outside before pushing the tackle upfield and breaking inside) and shows potential to improve his ability to convert speed to power. Against the run, Sweat is tough to block at the point of attack; he keeps himself clean with his long arms and sets a hard edge with a wide base. His length works to his advantage, and he can get a hand on ballcarriers even when he’s being engaged by a lineman. He racked up 29.5 tackles for a loss in the past two seasons. If he can add a little more bulk and grow into his frame, Sweat has the extraordinarily rare physical tools to develop into an unstoppable pass-rushing force. His high-cut frame makes him look a bit mechanical as he turns the corner to finish, and he relies too heavily on the straight-arm bull rush as a go-to move. He needs to develop more counters and add mass at the next level. Savvy coverage defender with nimble feet, easy agility, and terrific ball skills. Murphy is a natural playmaking outside cornerback with the skill set and quicks to bump inside and play in the slot. The second-team AP All-American is comfortable in both man and zone coverage, can play up at the line in press looks, and is a master in bail technique, where he flips his hips and strafes with ease—either with outside leverage and eyes on the quarterback or with inside leverage and eyes on the receiver. He’s patient in press coverage, holding his ground until his opponent makes a move before mirroring the route downfield. He shows awareness when the ball is in the air, and has the skills to intercept it or utilize an effective arm rake to knock it down and out of a pass-catcher’s hands. Murphy racked up seven picks and 20 passes defensed over the past two seasons. His four interceptions against FBS Power Five teams in 2018 ranked tied for sixth nationally, and his 13 passes defensed against those opponents ranked seventh. He can get overly grabby at the top of a receiver's route and may need to learn to make that a little more subtle in the pros. Murphy will overrun tackles in the open field at times, but is a willing and physical tackler against the run. He leverages blocks to turn ballcarriers back to the inside, takes legs out effectively, and isn’t afraid to deliver a thump every now and then. Murphy brings a rare combination of foot quickness and processing speed that allows him to make plays on the ball. Few things are more valuable to a defense than creating turnovers, and the former Washington star has the skill set to be productive in the pros. He’s undersized as an outside corner and may lack elite speed downfield. Effortless explosiveness, springy agility, and a variety of pass-rush moves give him immense upside, but he’ll need to prove he can keep his newly added weight on in the pros. Burns is a long-limbed pass rusher with an explosive first step and gumby-like flexibility. The former Seminole has the speed to stress offensive tackles to the edge, sharp hands to discard blocks, and the foundation to develop effective inside-counter and spin moves. He has elite closing speed and can rush from two-, three-, and four-point stances. Burns is more of a finesse rusher than a power rusher, but finished second in the country with 10 sacks against FBS Power Five teams. He’s comfortable dropping back into zone coverage, and was used to spy the quarterback at times for FSU. Against the run, Burns lacks the mass to anchor, but he does use his long limbs to keep blockers off his body and his eyes in the backfield. He sets the edge to force runs back into the middle, and shoots gaps to bring down ballcarriers in the backfield; his résumé includes 29 tackles for a loss in the past two seasons. Burns has as much first-step explosiveness as any pass rusher in this draft and combines natural flexibility with prototype length. He’ll need to prove he can keep his weight up in the pros. Burns weighed in at 249 at the combine after being listed at 235 during the season, and there just isn’t much precedent for success in the NFL from pass rushers falling into Burns’s listed height/weight profile from college. Big-armed pocket passer with a knack for the big play but inconsistencies in his accuracy, footwork, and decision-making. Lock is a prototypically sized pocket-passing quarterback with a cannon for an arm. He’s a dynamic athlete who got several D-I offers in basketball coming out of high school, and his hoops background shows up in his style of play–especially when he improvises or makes throws outside the pocket. Operating mostly out of the shotgun at Mizzou, Lock flashed moments of brilliance, particularly in his ability to thread the needle on deep throws both down the sideline and over the middle of the field. He’s an aggressive thrower who trusts his arm completely, but that can be a double-edged sword: He’ll force the ball into coverage at times, and far too often he attempts off-platform, cross-body throws or tosses it up while falling or drifting away from a clean pocket. Lock goes through reads quickly and does a good job of sensing and avoiding pressure, but his accuracy throwing out of structure is very scattershot. He protected the ball well in 2018, with just eight interceptions on 437 attempts. Overall, Lock is a high-ceiling, low-floor prospect: He’ll wow you with a big-time pass on one snap and then miss badly on the next. He’s a talented thrower, but to unlock his potential he’ll need to clean up his mechanics and play with more discipline under pressure—both are big asks. Lock has the athleticism, size, arm talent, and confident demeanor of a franchise quarterback. He’s far too inconsistent with accuracy and decision-making and struggles under pressure. Pocket passer who combines size and arm talent with quality decision-making, but who has to prove he can excel when pressured. Haskins is a pocket passer with prototypical size and a big arm. The third-team All-American was supremely productive operating mostly out of the shotgun in 2018, leading the nation with 4,831 passing yards and 50 touchdowns with just eight picks. Haskins is comfortable in the pocket, showing the instincts to slide and move up to buy time and find windows to throw from. He flashes high-level quarterback skills, recognizing pre-snap coverages and attacking them while quickly going through his reads to find the open receiver. He has a great pump fake to freeze defenders, and he moves safeties with his eyes. Haskins can throw a frozen rope on deep outs and shows good ball placement and touch at the intermediate level. He’s a decisive passer and has a snappy, quick release, but there’s a few hiccups in his mechanics that lead to inaccuracy on both short throws and downfield bombs. In the face of pressure, he’ll force passes from an unbalanced base, causing the ball to flutter, and while he’s capable of changing his arm angle to avoid oncoming pass rushers, he’ll have to avoid leaning on those types of throws too often. Haskins is limited when forced to move outside the pocket, and he looks labored throwing on the move. The former Buckeye has just one year as a starter under his belt, so he heads to the NFL severely lacking live-fire experience. He’ll face a steep learning curve at the next level, but he has all the tools to be a starter early in his career. Haskins isn’t a mobile quarterback, but has the athleticism to be an effective scrambler. 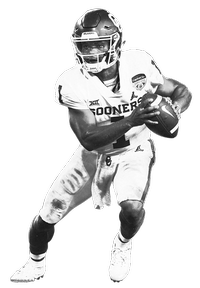 Haskins is a strong-armed pocket passer with the size, toughness, accuracy, and poise to start right away. He’s just scratching the surface of his potential. He lacks starting experience, and his struggles throwing off-platform and under pressure could lead to turnovers early on. Big, powerful right tackle with a strong punch, smooth footwork, and unmistakable nastiness to his game. Taylor is an athletic, mauling right tackle with long arms and plenty of mass. He plays with a wide base and good knee bend, is typically balanced and collected in his pass set, and times his punch to latch onto a pass rusher and hold them at arm’s length. The former Gator can get caught leaning at times, but he’s got the grip strength and upper-body power to maintain control of his opponent. That strength shows up in his ability to re-anchor against a bull rush—he might give up a couple steps, but he’s got the ability to latch on and quickly regather his feet to stop a rusher cold. In the ground attack, he’s a people mover, capable of generating incredible push off the snap. He’s a road grader on down blocks, rag-dolls ends to seal them outside, and moves well at the second level. Taylor’s a complete tackle prospect: He brings prototypical size to go along with a competitive demeanor, phenomenal strength, and blocking chops in the run and pass games. His upper-body strength can cover up sloppy footwork or hand usage, and against pro pass rushers the margin for error is a hell of a lot smaller. I cannot believe that we’ve gotten to this point with Kyler Murray. I’d already given up on the idea of ever seeing him play football again. His lone season as Oklahoma’s starting quarterback was one of the greatest introductions to the sport that a player has ever made, and it also felt like one of the great farewell tours. It’s rare and beautiful for a first-year starter to win the Heisman Trophy; it’s rarer and more poignant for that guy to be someone who has already committed to a career in another sport. The Oakland A’s nabbed Murray ninth overall in the 2018 MLB draft, guaranteeing him millions of dollars to give up life as an undersized QB to become one of the centerpieces of the franchise’s outfield plan. Murray’s future was set. Until he made clear that he is better at playing quarterback than he ever will be at anything else, that is. Murray just put together the second-most efficient passing season in college football history, and was even more impressive as a runner. I’ve never seen anybody else change directions at high speeds the way he does. I cannot stress this enough: In baseball, players almost never change directions. They are required, by rule, to run counterclockwise around a diamond. Football is the sport for Kyler. For the life of me, I’ll never understand why the A’s drafted Murray and then let him play football for the Sooners. They ran the risk of injury, for one, and also the risk of this—Murray emerging as a superstar in the other sport and never coming back to baseball. The A’s let Murray realize his football destiny. Even if he doesn’t pan out in the NFL, I’ll be forever grateful for their mistake. Easily neutralizes pass rushers with light feet, impressive balance, and top-tier mirroring skills. Dillard was Mr. Consistency on the blind side the past three seasons, when he started 39 straight games. He’s remarkably steady in his technique, almost always balanced, in control, and smooth in his pass set. And even when he’s knocked back early in the play, he’s adept at keeping his hands and feet working in unison to recover, regroup, and re-anchor against the rush. The third-team AP All-American spots and neutralizes stunts and twists with ease. He’s inconsistent with the placement of his hands, but he mirrors a pass rusher’s movement like a mime. He’s highly athletic, showing little problem moving around in space to target defenders downfield on screen plays. The former Cougar didn’t get much experience in the run game as a blocker in Mike Leach’s Air Raid scheme, but he’s got the movement skills, athleticism, and want-to to develop in that area. Dillard may be the best pass-blocking left tackle in this draft and boasts elite athleticism for the position. He’s very raw as a run blocker, lacks prototypical size and length, and is more of a finesse player than a glass-eating road-grader type at this point in his career. Productive, three-down edge presence with length, power, and a Pro Bowl–caliber getoff. Ferrell has prototypical size for an edge rusher with a well-proportioned build, a muscled lower half, and vines for arms. The 2018 AP first-team All-American and winner of the Ted Hendricks Award for college football’s top defensive end has outstanding first-step quickness and uses that explosive, springy get-off to stress tackles off the edge. He utilizes his long arms to punch and control linemen, setting the tone and controlling the rush instead of allowing opponents to dictate terms. At times he struggles to plant his foot, bend, and turn the corner into the pocket, but he brings a smooth spin move and effective hump and club moves to counter his early speed to the outside. Ferrell’s 11.5 sacks last year ranked sixth in the nation. He rushes from two-, three-, and four-point stances, and shows awareness dropping into zones. In the run game, Ferrell bullies tight ends at the point of attack, pushing them into the backfield. He takes on tackles with an aggressive mind-set, rarely ceding ground when runs come his way. He’s a slicing run defender who racked up 19.5 tackles for a loss in 2018, which ranked 10th nationally. He lacks top-end speed to chase down plays to the outside, and can get caught up in the wash trying to string plays out toward the sideline. Ferrell is a game-ready 4-3 end who comes with a high floor as an NFL edge rusher. He’ll need to further refine his repertoire of pass-rush moves to reach his ceiling, but he’s got the frame and athleticism to be productive early in his career. He's explosive in his get-off, but a bit rigid in his movement; he could lack that extra gear late in his rush that many of the best pass rushers possess. Some teams may look past his production because he played on a defensive line with two other top-tier draft prospects (Dexter Lawrence and Christian Wilkins). Super-athletic off-ball linebacker with a hard-nosed demeanor and sought-after playmaking instincts in coverage. Bush has a dense, rocked-up frame with powerful legs and a thick upper half. He’s an explosive blitzer with nitrous oxide boosters in his feet, racking up 10 sacks in the past two seasons. The team captain and AP second-team All-American is comfortable dropping back into space, can easily carry running backs into the flat, and has the speed and physicality to cover tight ends up the seams. He has the tendency to grab ahold of pass catchers at the top of their stem, so he’ll need to learn to be more subtle. In the run game, Bush embodies his alma mater’s Wolverine mascot, flying downhill to deliver ferocious hits and separate the ball from the carrier. He sifts through the trash to meet the runner in the hole. He’s capable of flying from sideline to sideline to chase down runners. Bush needs to clean up his pursuit angles and can get engulfed by offensive linemen moving downfield. He false-steps at times and can get lured away from the action by misdirection. Bush has all the tools—elite athleticism, instincts, range, and quick-twitch reaction speed—to emerge as an impact defender in coverage early in his career, and as a tone-setter in the run game. He lacks length and can get bullied by offensive linemen moving downfield. May fit best as a run-and-chase weakside linebacker. Built like a refrigerator but moves with surprising ease; has the versatility to play guard or tackle at the next level. Ford has a massive frame and a nasty playing demeanor. His fire-hydrant legs, double-wide torso, and excavator-like arms make fellow 300-pounders look skinny. The former Sooner doesn’t have the quickest feet but is a smooth mover and has a calm, collected pass set. Ford will lean into and fall off blocks at times, and he isn’t immune to giving up the edge to speed rushers, but it takes an hour to run around him and he takes smart angles, walling off the pocket before latching on to incoming pass rushers. His excellent grip strength combined with his coordinated base means that once he gets his hands on you, it’s over. He anchors well, and shows awareness for stunts in his area. Simply put, he’s a cool customer as a pass blocker. In the run game, Ford’s a bit plodding while pulling, but he targets well in the open field, and his wide body makes it tough for defenders to avoid him. Once he gets moving downfield, he can really fly: Against Baylor, after shoving an edge defender out of the play and into the backfield, he set off in a dead sprint in pursuit of the play, catching up with his running back 35 yards downfield to set a second key block. Ford offers positional versatility: He played at left guard in 2017, moved to right tackle in 2018 and could play either at the next level. Ford has a rare combination of size, athleticism, and heavy hands, giving him elite potential at right tackle or guard. He’s still raw, with just one year of starting experience at right tackle. A perceived need for a move back to the inside could cause a slight drop in his stock. Athletic sideline-to-sideline linebacker who plays with a berserker’s tenacity. White’s a sideline-to-sideline linebacker with range in coverage and rare burst. The first-team AP All-American and Butkus Award winner as the top linebacker in the country is a creative, explosive blitzer, slashing through the offensive line like he’s taking a basketball to the rim. He reads blocks to sniff out screens. He’s comfortable dropping back over the middle of the field, and while he didn’t do it often at LSU, he has the athleticism to run with running backs and tight ends in man coverage. In the ground game, the former high school running back takes aggressive angles to weave through traffic and chase down ballcarriers, as evidenced by his 26 tackles for a loss over the past two seasons. Opponents can use White’s bold downhill style to their advantage, though, employing misdirection to lure the former Tigers linebacker out of position. He struggles at times to disengage from second-level blocks. White is an über-athletic, modern middle linebacker with an ideal combination of speed and physicality. With a little more discipline in his game, he could develop into an elite middle-of-the-field defender. He’s still raw at diagnosing plays and his aggressiveness can become a liability at times. Athletic, versatile, and disruptive big man who can play all three downs and is always around the ball. Wilkins is a big man with rare movement skills; he’s a penetrating, athletic, and flexible defensive tackle capable of playing at multiple spots on the interior line or even at defensive end in a pinch, as he did at Clemson at times. The first-team AP All-American has a nonstop motor, active hands, and always-churning feet. He can naturally generate leverage by getting under an offensive lineman’s pads and has an effective swim move to slice into the backfield. He shows awareness to jump and try to deflect passes, as illustrated by his 15 career pass deflections. Wilkins is the perfect example of the clichéd “guy who just makes plays.” In the run game, he holds his ground at the point of attack, has the agility to string runs out toward the sideline, and the motor to chase down plays from the backside. Wilkins should be a relatively safe pick as a high-floor, instant-impact contributor. He can play on all three downs at multiple spots on the line, and as a fiery on-field leader, he should boost the intensity of the players around him from day one. Wilkins is extremely versatile but lacks a defining elite trait. Possesses a rare combination of size, explosiveness, and agility, but must prove he can harness all that and turn it into production in the pros. Gary is an über-athletic defensive lineman with outstanding explosiveness and a powerful bull rush. The former no. 1 overall national recruit has a prototypical, muscled-up frame with the length to play outside and the mass to bump down to the interior on third down. He gets upfield quickly on stunts and twists, and uses a shocking stiff arm to walk linemen into the pocket, but his pass-rush production off the edge at Michigan underwhelmed (just 3.5 sacks and 7.5 TFL in nine games in 2018 and 6 sacks, 12 TFL in 2017). Gary’s a blur over his first few steps but too often gets pushed past the pocket when he tries to get the edge; he struggles to consistently dip his shoulder, plant his foot, and close on the quarterback. Against the run, he plays with a ferocious demeanor, setting the edge, stringing out runs, and using his extraordinary open-field speed to track down runners on the outside. But he loses sight of the ball on option plays at times and can get caught up in the wash on the backside. Gary has extraordinary athletic traits and the physical talent to become a star. He brings the potential to rush from multiple spots on the line. His production never matched the hype, and he needs to develop a hump move, spin move, cross-chop, and/or club to go with an effective long-arm bull rush. Gary might be viewed as a tweener—undeveloped and stiff as an edge rusher and an unknown quantity as an interior lineman. Throwback tight end who blocks like a lineman and catches like a receiver. Hockenson is a dual-threat tight end prospect who should bring value as both a pass-catcher and run-blocker from day one. The second-team AP All-American and John Mackey Award winner as the nation's top tight end isn’t quite as explosive as former teammate Noah Fant, but he has the smooth athleticism and build-up speed to threaten the seam and get behind the defense. He’s a savvy route runner who knows how to work to the open spot against a zone and use his body to shield defenders against man coverage; he tracks the ball well, and catches with soft, natural hands. He’s competitive and reliable as an in-line pass blocker, and in the run game he blocks like a tackle at the point of attack, ferociously driving defenders off the ball or sealing them away from the play. In the open field, he latches on to defenders, keeps his feet churning, and looks to finish with the ferocity and zeal of a fullback—which makes sense considering he wore number 38 at Iowa. Hockenson is an old-school, three-down tight end who can be a major factor in all phases of the offense. He’s a mismatch threat as a pass catcher and a force in the run game. Some view Hockenson as a top-10 talent in this class, but it’s rare for tight ends to come off the board in the early part of the first round. Just two tight ends have been picked higher than 20th in the past decade. Did not participate in combine drills. Simmons has a compact, muscled frame with a powerful base and a broad upper half. He has a quick first step as a pass rusher and is frequently the first out of his stance, firing out into opposing linemen. Simmons knows how to get under his opponent’s pads and lift them up with incredible power, establishing control from the get-go. He has a go-to arsenal of moves as a pass rusher, with an effective swim move, strong arm-under rip, and awesome club move. Against the run, the former Bulldog stacks defenders and monitors the backfield, moving up and down the line to plug gaps or stop ballcarriers. He’s got the quicks and coordination to string runs to the outside. Simmons is authoritative in the trenches; he controls the line of scrimmage in his area. He’s one of the most talented, high-upside players in this draft, and he should thrive in the interior against both the pass and the run. Simmons’s recent ACL tear could sap him of some of his power and explosiveness in the short term and limit the return on investment over the course of his first contract. He was arrested on an assault charge in 2016 after a video showed him striking a woman several times. Aggressive and productive slot receiver with good hands and a knack for picking up yards after the catch. Brown’s an athletic, playmaking slot weapon who’s built like a running back but runs sharp, crisp routes like a receiver. He lined up primarily on the inside with the Rebels, taking a bevy of quick slants, hitches, and out and drag routes and turning them into chunk plays with his feet. But the 2018 All-SEC receiver can go deep too, showcasing top-tier ball-tracking talent to secure downfield bombs. Brown wins in contested pass situations and knows how to use his frame to box out defenders, but he did drop a few easy passes in college. He works hard after the original play breaks down to get open for his quarterback. He wasn’t asked to block much in the Rebels’ run game but has the frame and physicality to manhandle smaller defensive backs. Brown’s got size, athleticism, and swagger as a middle-of-the-field playmaker; he has the pass-catching skill set and physical tools to be an impact contributor early in his career. His utility on the outside and ability to take the top off a defense downfield are two big question marks for the next level. Scrappy, long-limbed cover corner who has great instincts and the ability to turn and locate the ball in the air. Williams combines extraordinary length with speed, fluid athleticism, ball skills, and overflowing swagger. The AP second-team All-American is comfortable in multiple coverage types; in off coverage, his ability to click-and-close, is, at times, a half-beat slow (as you’d expect for taller, lankier corners of his ilk), but he makes up for it with the awareness to read the quarterback and get an early break on the ball. In press, he employs a strong, physical jam, shows a smooth transition to flip his hips and get himself into a trailing hip-pocket position, and has enough speed to stick with most receivers downfield. Williams has the ball skills that teams covet, with eight picks and 19 passes defensed on his stat sheet in the last two seasons. The former Tiger has a penchant to grab receivers at the top of their routes, something he may need to curtail in the pros. In the run game, he can be physical when he wants to be, but misses a few too many tackles diving for ankles. Williams has all the makings of the next great shutdown corner, with top-tier size, ball-hawking skills, and unshakable confidence. His lack of effort in the run game could turn some teams off, and he may need to find a press-heavy scheme that allows him to play his physical brand of coverage. Athletically gifted tight end whose speed poses problems for linebackers and size causes headaches for defensive backs. Fant is an elite athlete with explosive burst at the snap, basketball hops, and the speed to run past defenders down the field. The former high school high- and triple-jumper and hoops star can line up all over the formation and is dynamic as a playmaker after the catch, with the smooth athleticism to turn upfield on a dime, break tackles, and weave through traffic. He shows the ability to make tough catches in tight coverage, but will drop an easy one here and there too. He knows how to gain separation at the top of his stem with sharp cuts and subtle push-offs. Fant is still just scratching the surface of his potential as a weapon in the passing game. In the run game, he is effective on crack blocks and down blocks off the edge. Fant has the skill set and physical talent to become a top-tier mismatch creator in the passing game. He’s the best athlete at the position in this draft. He may lack the mass and strength that teams look for in a true dual-threat in-line tight end. Also, the tight end position historically hasn’t been valued as highly as other spots in the top half of the first round. The two most pro-ready quarterbacks from college football last season are not in the 2019 NFL draft. Alabama’s Tua Tagovailoa is the best QB prospect I’ve ever seen. There is never a point during any play when he believes he cannot throw a touchdown—and over time, I’ve come to learn that with his outrageous arm, rare vision, and excellent mobility, he’s capable of just that. Despite being a risk-taker, he didn’t throw an interception until he already had 26 touchdown passes in the 2018 campaign. And he had the poise to win a national championship as a true freshman. There’s just one problem for NFL teams: He isn’t eligible to join the league until after his junior season, so they’ll have to wait to draft him until 2020 at the earliest. To some scouts, Clemson’s Trevor Lawrence (who beat Tagovailoa’s Alabama team in January’s national title game) is the best quarterback prospect they’ve ever seen. 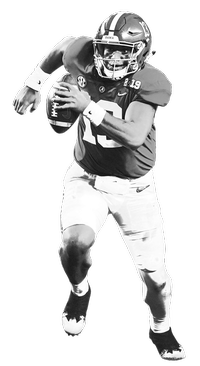 He has prototypical size, a stronger arm than Tagovailoa, and oh yeah—the poise to win a national championship as a true freshman. There’s just one problem for NFL teams: He isn’t eligible to join the league until after his junior season, so they’ll have to wait to draft him until 2021 at the earliest. Allowing teams to draft freshmen would change the shape of the draft. With less time to evaluate players, there would be even wilder swings and misses than we’re used to. But Lawrence and Tagovailoa would be worth it. That’s great news for fans of teams that were actually good in 2018: The most important tanking opportunities of the decade lie ahead. Explosive, versatile safety/slot corner hybrid with range, physicality, and an elite closing burst. Savage is a compact, muscled-up, and supremely athletic defensive back with the versatility and play-recognition skills to play multiple roles in the secondary. The former Terp boasts Earl Thomas-esque field speed when coming downhill and reacts decisively before flying to the ball like a heat-seeking missile. He showed a nose for the ball at Maryland and notched eight interceptions, nine tackles for a loss, and 13 passes defended through the last three seasons. Savage strikes with physicality and force, but at times his aggressiveness can get him out of position. He may lack utility as a single-high safety—he was primarily used in two-high looks and as a slot defender in 2018—but Savage has all the traits to quickly develop into a versatile playmaking defensive back. Savage combines rare speed with physicality, ball skills, and downhill coverage instincts. He lacks size, and his aggression can be used against him on double moves and play-action. Has the size, hands, and top-tier athleticism (he is, one could say, in good shape) to become unguardable downfield. Metcalf is a rare physical talent, mixing elite size with explosiveness off the line, agility to shake defenders, and home-run-hitting deep speed. He tracks the ball well over his shoulder and can reach out with go-go-Gadget arms to extend and reel in off-target passes. Metcalf boasts body control, understanding of leverage, and physicality to go up and win in contested pass situations, but there are some concentration drops in his tape too. In the run game, Metcalf is an effective wall-off blocker with the frame to dominate smaller defenders. Metcalf is a physical unicorn, with the tools to become an elite pass-catching weapon in the NFL, but he has to put it all together to realize his potential. He missed all but seven games in 2018 to a neck injury, plus missed games in 2016 with a foot injury. There could be some concern that his muscled-up frame is actually too big, limiting his flexibility. Physical, sticky coverage defender who rarely gives up a big play. Baker’s a feisty cornerback prospect with ball skills and sticky coverage chops. He always seems to be in position to make a play; he has a knack for knocking the ball away at the catch point, and he’s racked up 23 passes defensed and seven interceptions in the last three seasons for Georgia. The first-team AP All-American and Jim Thorpe Award winner as the nation's top defensive back hasn't allowed a touchdown in coverage since the Bulldogs’ 2016 bowl game vs. TCU. He doesn’t give up many catches and surrenders few yards after the catch. He’s comfortable in multiple schemes, whether that’s press-man, off-man, or zone looks. In the run game, Baker isn’t afraid to mix it up as a tackler and even comes down the briar patch in the middle of the field to lay licks on ballcarriers. He’s more physical than his size implies. Baker does everything well, displaying coverage chops, ball skills, physicality, and instincts. He lacks prototype size for an outside corner and there are concerns that he lacks speed downfield. Intimidating hitter and rugged competitor who thrives playing downhill. Abram is an old-school, hard-hitting safety with a rocked-up frame, explosive athleticism, and an alpha-dog mentality. He lined up all over the field for the Bulldogs, but he was best when deployed in the box or playing downhill from two-high looks; from there, he showed a Happy Gilmore-type persona on the field, treating opponent block attempts as a personal attack while ragdolling any player who attempts to lay a hand on him. He’s a strong blitzer who barrels through running backs to get to the quarterback. In coverage, he has good range and is a hitter, but he can get caught peeking into the backfield and letting pass catchers get behind him. Overall, he should be capable of playing in two-deep looks in the NFL, but he brings the potential to be a big-impact player when lined up closer to the line of scrimmage. Abram plays with his intensity turned all the way up to 11 and sets the tone for his teammates. He’s a versatile defender capable of playing in the box, over the slot, or as a de facto linebacker. He’s a bit stiff in coverage and is unlikely to be deployed as a single-high defender at the next level and he’s overaggressive coming downhill at times, which causes him to overrun the play. His physical style of play could lead to injuries. Athletic zone center whose quickness and balance allow him to seal defenders in the run game and anchor in pass protection. Bradbury is über-athletic, with a well-built frame and lightning-quick feet. The first-team All-American and winner of the Rimington Trophy as the nation's top center plays with a low center of gravity and balanced base. He anchors well and is hyper-aware of threats up the middle, peeling off of double-teams to pick up stunting linemen or blitzers from the second level. Bradbury plays with plenty of vinegar; he adroitly works upfield off of combo blocks while seeking targets to wall off. He isn’t the most powerful pass blocker, but can latch on and “ride the bull” to keep his opponent out of the play and give his quarterback time to throw. Bradbury’s defining skill is his ability to reach and seal opposing nose tackles and play-side linemen in the wide zone run game: He’s lightning fast at the snap, drawing on excellent balance, upper-body power, and ultra-quick footwork to almost instantaneously cross an opposing lineman’s face before rotating to wall him off from the play. Bradbury’s a plug-and-play center with the ability to boost a zone team’s run game from day one. With experience at guard, he brings positional versatility on the inside. He’s a bit undersized, and gap or power-running teams may not be a fit. Potential to be unstoppable from the interior, but needs to develop more consistency. Tillery is a powerful and highly athletic interior defender with rare length and schematic versatility. The AP second-team All-American pairs outstanding first-step burst with a devastating club move to power his way into the backfield. He uses his length as leverage, generating torque with his upper half to overpower and discard blockers. He shows good closing speed and agility to get to the quarterback once he’s past the first blocker. There were stretches of games when he looked dominant, but his production came in waves. The former Golden Domer has the size, length, and strength to be a dominant two-gapping defensive end in a 3-4 and has the quicks and power to play in an attacking one-gap 4-3 front. Against the run, he holds his ground, maintains leverage despite his height, and uses his long arms to control wide sections of the defensive line. Tillery has the physical tools to become an elite, three-down defensive lineman at the next level. He shows flashes of brilliance, like in his four-sack performance against Stanford in 2018; if a team thinks it can unlock that potential and get him to play with that type of intensity, he could go much earlier than expected. He struggled with consistency, disappearing from games at times. Stout center prospect whose combination of athleticism, strength, and reliability gives him potential to start immediately. McCoy is a tough, physical interior lineman who has experience at both guard and center. He has a short, stocky body type, with beer kegs for quads and a muscled upper half. In pass protection, the former Aggie lacks length but makes up for it with quick lateral movements; he naturally creates leverage with a wide, balanced base, and once he gets his hands on you, he’s tough to shake—his powerful upper body can twist and contort while creating torque to control opponents. He brings a sumo wrestler-like ability to anchor. In the run game, McCoy has the fluid athleticism and upper body strength to reach and seal playside nose tackles or three-technique defensive linemen. He quickly gets downfield on screens (as supported by his 4.89 40-yard dash at the combine), and does a good job locating, engaging, and sealing off second- and third-level defenders to spring runs. McCoy is a rugged, game-ready interior lineman who plays with the right power and flexibility. He lacks the length to grapple with longer or taller defensive linemen, and will be limited to playing on the inside only. Speed merchant who can take the top off a defense and rack up yards after the catch, but whose recent surgery to repair his Lisfranc ligament could be a sticking point; Antonio Brown’s cousin. Brown’s a breakaway threat from anywhere on the field. The AP first-team All-American requires the attention of the defense on every snap; he tied for the national lead with 11 receptions of 40-plus yards in 2018. At the snap, he eats up a cornerback’s cushion in the blink of an eye, and defenders simply can’t keep up on deep crossing routes. He tracks the ball well on deep passes and is competitive on jump balls, but his hands technique and grip strength to hold on to the ball all the way through the catch can be lacking at times. He’s elite as an after-the-catch playmaker, exploding through creases in the defense to run away from defenders. He brings more than just pure speed, though, and is ferocious in trying to pick up extra yards, ripping through arm tackles with more physicality in the open field than his size would imply. As for his value in the run game, the team that drafts Brown likely won’t do so with his blocking chops in mind. Brown has elite acceleration and rare home run speed to take the top off a defense. He’s a threat to score on every snap, and is a player who defenses will have to game-plan around. His lack of size is a major concern. There’s very little precedent for highly productive receivers weighing in at less than 170 pounds. A recent surgery to repair a Lisfranc injury could rob him of some of his speed. Combines the catch radius of a condor with the speed to take the top off a defense; makes hay after the catch. A lanky frame, massive hands, and an impossibly long wingspan give Butler an otherworldly catch radius; he can go up high over the defense to bring down a pass, and his highlight reel is peppered with circus catches. Butler isn’t super quick in the short area, but runs sideline routes a little bit like Usain Bolt runs his races—he’s sluggish and leggy out of the blocks but has the build-up speed on the back half of his route to run past just about everyone. That speed makes the former Cyclones star a first-rate big-play threat: He ranked third in the country with an average of 21.97 yards per catch in 2018; his career average of 19.5 yards per catch ranks third all time in the Big 12; and he racked up 25 receptions of 25-plus yards in 2018, second in the nation. He’s not yet a complete receiver, though. Drops are a concern, and he may have trouble getting off press and separating against über-fast, physical NFL corners on short and intermediate routes. He’s got the size and speed to develop into a dominant outside “X” receiver, but early on, he might have some utility out of the slot, where he can run more quick-hitting hitch routes, get free releases off the line, and showcase his exceptional physicality and balance as a runner after the catch. In the run game, Butler is energetic and enthusiastic as a downfield blocker—on multiple plays from his 2018 tape, he rag-dolled opposing corners, throwing them to the ground when a run was coming his way. Butler’s an outstanding athlete with extraordinary size, a rare catch radius, the deep speed to stretch a defense, and a competitive attitude in all areas. He’s still a raw piece of clay who drops too many passes and needs to refine his route-running to better separate underneath. Versatile slot corner and safety hybrid with ball skills, athleticism, and an aggressive and vocal on-field persona. Gardner-Johnson is a fast, compactly built, and scheme-versatile defensive back who has experience in the slot, in the box, and in the deep middle. He’s aggressive in all parts of his game; in 2018, he was used primarily as a slot defender, where he showed off the ability to flip his hips, change direction, and mirror routes in man coverage. In zone looks, he deciphers route combinations and reads the quarterback’s eyes to react to throws. Gardner-Johnson didn’t play much single-high last year but was used in that role in 2017, making a move back to the deep center-field spot an option in the pros. He showed ball-hawk skills at Florida, intercepting nine passes—three of which he took back for scores—and knocking down 12 more. Gardner-Johnson was used frequently as a blitzer (he notched three sacks last year), and has excellent open-field speed. He took his tackling to a new level last season, and in the run game, he slices through traffic to bring down ballcarriers (and racked up nine tackles for a loss in 2018). He isn’t easily blocked out of run plays in his direction. Gardner-Johnson is a modern defensive back who brings utility in coverage at all three levels. He should be an instant-impact playmaker capable of filling multiple roles in an NFL secondary. His aggressiveness works against him at times, and he’ll overrun plays and miss tackles. Physical and elusive dual-threat back who can contribute on the ground or in the passing game; with just 251 career carries in college, he still has plenty of tread left on the tires. Jacobs has a thick, compact build with a powerful lower half. He looks to deliver punishment on every play, whether he’s taking a handoff, blocking in pass protection, or lead-blocking through the hole. The former Crimson Tide playmaker is capable of running routes from the backfield or in the slot. He has soft, natural hands, and is a creator in space. One play against Auburn best illustrated his utility as a pass catcher: Jacobs ran a vertical route out of the backfield up the seam, looked over his right shoulder for the pass, saw that it was leading him to the left, turned his head while the ball was in the air, and softly reeled it in. He then broke a few tackles and scored. In the ground game, Jacobs has good vision, lets his blocks set up, and deftly picks lanes to get into the second level. He explodes through the crease and powers through tackle attempts. He falls forward at the end of his runs, and had a nose for the end zone, scoring 11 times in 2018 (he added three scores through the air). He’s a tough, physical, and tone-setting three-down back who can create for himself as both a runner and a pass catcher. He’s a finisher with very light wear and tear. Jacobs wasn’t a home run hitter and produced very few long gains on the ground in 2018 (just one run of 20-plus yards). Was used in a committee with Damien Harris. Samuel is a stocky, muscled-up pass catcher with strong hands, a tenacious play style, and excellent run-after-the-catch ability. The former Gamecock is a strong route runner; he uses sudden footwork at the line of scrimmage to get off press and frequently breaks defenders’ ankles on two-way-go routes out of the slot, using subtle head fakes and jab steps at the top of his stem to create separation. He is fearless running routes over the middle, ensuring the ball makes it in his hands, knowing he’s going to get hit. He’s physical with the ball in the air, works back to underthrown passes, and is capable of plucking the ball away from his body. Samuel is dangerous in the open field on sweeps and screens and is a dynamic return man. His intensity goes up in the red zone and he is unguardable in one-on-one situations in space. He racked up 22 combined receiving and rushing touchdowns in the past three seasons at South Carolina, plus another four scores on kick returns. However, Samuel too often lacks effort away from the ball and his run-blocking needs work. His catch radius is below average, and while he regularly lined up on the outside for South Carolina, he may be most effective out of the slot in the pros. Samuel’s a versatile pass catcher who brings day-one value in the red zone, over the middle of the field, and in the return game. Multiple hamstring issues cost him games in his sophomore and redshirt freshman seasons. He may struggle on the outside at the NFL level, which could limit his utility early on. He simply won’t be beat at the catch point, even if he lacks twitchy speed. Harry is a highly productive wideout with the frame to box out defenders and take punishment over the middle. The former Sun Devil can line up all over the field, operating out of the slot or on the wing. He plays strong on contested passes, positioning himself for the catch before going up high to pluck the ball out of the air in traffic. He lacks elite quickness, and often takes a few wasted steps before getting off the line, but Harry can separate enough at the top of his routes, winning against close coverage with subtle push-offs and his knack for shielding corners away from the ball with his body. He’s aggressive as a runner after the catch, and Arizona State used him on screen passes frequently. He did mix in some head-scratching drops. In the run game, he’s tenacious and competitive as a downfield blocker. A player who posted incredible production, Harry has prototypical size, is highly competitive, and has the tool set to be an early contributor in the red zone. Some teams may view him more as a no. 2 possession receiver than a go-to no. 1. He may struggle to separate against bigger, physical pro corners. Has all the raw attributes to be a left tackle stalwart—plenty of girth, long arms, and easy movement skills as a pass blocker—but needs to clean up his footwork and refine his run-blocking techniques. The former five-star recruit measured out at the combine with an 85-inch wingspan—third among offensive linemen—and he knows how to use that length to his advantage in pass protection, employing a strong punch, wax-on/wax-off hand-fighting skills, and strong grip to control opponents. Little operates with a balanced stance, has good knee bend, and quick, ever-moving feet. He isn’t an über-athlete, but Little has plenty of movement skills. He mirrors, is vigilant for stunts and twists, and stymies bull rushes like a champ. When he gets knocked back early in the snap, he’s able to dig in and re-anchor quickly. In the run game, he’s physical and aggressive, and he generates push when he manages to latch on to a defender. However, he frequently lunges off the line with his head down, causing him to slip off blocks or miss with his hands. He’s often a step or two slow as a puller, and can get lost trying to target defenders at the second level. With prototypical size, top-tier balance, strong hands, and extraordinary length, Little has elite potential as a blind-side protector. He’s still raw as a run blocker and may fit best on a heavy pass-first team. Dependable, hard-hitting defender who has excellent play-recognition skills and the versatility to line up at multiple spots in the secondary. Rapp has a stout, muscled frame, outstanding agility, and top-tier football instincts. He played from the center-field spot, in two-deep looks, over the slot, and in the box for the Huskies, laying the thump on ballcarriers and pass catchers alike. In coverage, he reads offensive linemen, route combinations, and the quarterback’s eyes to quickly decipher the play’s direction and wastes no time in breaking on the ball. The AP second-team All-American takes good angles to the ball and is an excellent tackler. He lacks top-echelon speed, which might limit his use as a pure single-high safety at the next level, but he’s more than athletic enough to carry running backs or tight ends up the seam. He’s a good blitzer, with five sacks in 2018, and he picked off seven passes in his three-year college career. In the run game, Rapp weaves through traffic and avoids blocks to make a stop. He seeks out contact and plays with a contagious physicality. Rapp is a disciplined, reliable, and versatile defender who affects both the run and passing games. He should be a starter early in his career. He does his best work in the box and may have limited value as a consistent center-field safety at the next level. Boasts a sudden first step and a budding repertoire of pass-rushing moves. Polite looks like he’s been shot out of a cannon at the snap, flying upfield with an explosive first-step burst. The second-team AP All-American pairs that top-tier get-off with a burgeoning spin move and excellent flexibility to turn the corner and close on the quarterback. He mixes in a sneaky spin move as a counter and always plays with a ferocious demeanor on the field, constantly fighting with his hands to rip the ball away from the quarterback or ballcarrier. He led the nation with six forced fumbles in 2018, and his nine sacks against FBS Power Five schools ranked fifth. Polite is a high-effort run defender, but doesn’t have much sand in his pants at the point of attack, making him vulnerable to getting bullied off the line by bigger tackles. Polite has top-tier pass-rushing chops, combining quickness off the line with a few reliable pass-rush moves. Teams could hesitate because he’s a one-year wonder who grabbed just four sacks in the previous two seasons combined, and he lacks ballast in the run game. He isn’t the prototypical height or length for the position, and tested very poorly at the combine. The latest in a lineage of tight ends—both his dad and uncle played the position in the NFL—he offers pass-catching chops and blocking utility. Smith Jr. is a versatile, H-back-style playmaker, adept at running routes and blocking whether he’s lined up in the slot, tethered to the formation, or in the backfield. He has soft hands and quickness to separate at the top of his routes, and is a very strong, natural runner after the catch. He’s not a top-tier athlete but he can create mismatches for a defense in both the run game and the passing game. He arc blocks effectively in space, can man the edge in pass protection, and can pick up blitzers in the backfield. In the run game, he walls off defenders and runs his feet to create push. He’s a little undersized, but makes up for it with physicality and tenaciousness at the point of attack. He’s a Swiss-army-knife player who should play on all three downs. Smith brings utility in both the passing attack and the ground game; he’s a movable chess piece who can be deployed all over the field and play in any scheme. He lacks quick-twitch athleticism and is undersized for the position. Montgomery is a well-built, versatile back with the skill set to contribute on the ground and through the air. He’s a patient runner, leaning forward as he pushes through the hole, and regularly picks up an extra yard or two after it looks like he’s been corralled by the defense. The former Cyclone is an elite tackle-breaker with excellent balance through contact and an instinctive feel for eluding defenders; he uses Adrian Peterson–esque jump cuts and explosive lateral jukes behind the line of scrimmage to avoid unblocked opponents and has quick feet and perfect timing to hop or high-step to avoid ankle tackles. He always gives a second or third effort on short yardage situations. Montgomery finished tops among all draft-eligible RBs in missed tackles forced per touch, per Pro Football Focus, and led the nation with 99 broken tackles on runs in 2018 after tying for the national lead in 2017 (86) in the same metric. He’s a downhill runner and has the burst to bounce a run to the edge. He’s shown excellent ball security, with just three fumbles on 695 career touches. He lacks top-end speed, but makes up for it with elite elusiveness early in his runs. In the pass game, Montgomery is a natural catcher who rarely fights the ball at the catch point. He lines up all over the formation to run routes, typically as a decoy, but could use more urgency and discipline downfield. He’s a good blocker on the move, and looks to spring his teammates downfield. He’s reliable and fiery as a pass protector. Montgomery is tough, reliable, and physical; he creates yards that aren’t there and has the versatility to contribute on all three downs from day one. He lacks top-end speed and explosiveness and has a lot of mileage, with over 600 carries in college. Former hooper whose feel for leverage and body control helps him box out defenders in the end zone; has to show he can create separation elsewhere. Arcega-Whiteside is a big, thickly built pass catcher who plays above the rim in the red zone. His ability to box out defenders, hold them on his hip, and go up high to come down with the ball is his defining skill—and gives him the potential to be a dangerous end zone weapon if paired with a quarterback who throws with anticipation. Arcega-Whiteside makes his living on slants, out routes, go routes, and red zone jump balls. He has very good awareness on the sideline, can get off press coverage and get downfield quickly on nine routes, and tracks the ball beautifully. He struggles to separate underneath, though, and was targeted on a limited variety of routes, so his utility outside the red zone is a question mark. In the run game, Arcega-Whiteside works hard to wall defenders away from the action and he’ll sprint downfield to help spring runners on the outside. Arcega-Whiteside was a premier touchdown maker at Stanford and has the potential to become a dominant red zone weapon at the next level. He may struggle to overpower NFL defensive backs in the same way he did college defensive backs, and he could struggle to separate in the short and intermediate zones. He lacks top-end speed downfield. Looks and plays like a prototype “X” receiver given his size, physicality, and ability to come down with contested catches. Harmon is a well-built pass catcher with long arms and a muscled lower half. He doesn’t boast quick-twitch agility, but has the burst, physicality, and footwork to get off press coverage and separate early in his route. He was highly productive for the Wolfpack (177 catches, 2,665 yards, and 16 touchdowns in three seasons) and plays with the mentality of a no. 1, walling off defensive backs at the catch point. He goes up high for catches knowing he’ll get blasted by a defender and still comes down with the football. He’s dominant on contested-pass situations, and is the master of the back-shoulder catch. Harmon runs crisp routes, can sink his hips quickly to work back toward the quarterback, and sells double-moves like a champ to open up down the sideline. He’s not a burner but does have build-up speed to threaten vertically. In the run game, he’s an aggressive, enthusiastic blocker. He’s a highly productive playmaker with the size and physicality to be a quarterback’s best friend on third downs and in the red zone. Has the skill set to be a legit no. 1 at the next level. Harmon lacks top-tier speed and isn’t super sudden as a route runner. Has great size, vines for arms, a strong punch, and light feet. Cajuste boasts a barrel chest, a massive wingspan, and fluid footwork. He mirrors well, packs a forceful punch, and uses his long reach to get a grapple hold on defenders. He can generate incredible torque with his upper body to control and ragdoll pass rushers, but if he mistimes or misplaces his punch, it can throw off his balance and make him susceptible to counters. He’s raw as a technician and can get caught lunging, but he has the athletic tools to develop into a top-tier blind-side protector. In the run game, the former Mountaineer plays with nastiness through the whistle, especially when he can get his paws on second-level defenders. He engulfs defenders at the point of attack; creates movement with strong leg churn, and maintains blocks with a strong grip. He drops his eyes and winds up for blocks when attempting to drive defenders off the ball at times, giving them a chance to sideswipe his block. He can get lost targeting at the second level. Cajuste has sweet feet, long arms, a strong punch, and brings nastiness to the pass and ground game. That’s a tool set to develop into a top-tier tackle. He’s raw in his technique and is too easily left lunging at defenders. Barrel-chested blocker who plays with remarkable consistency; offers positional versatility at the next level. Risner is a reliable offensive line prospect with a vending-machine-sized torso and strong, active hands. He works with a glass-eater mentality, blocking all the way up to the whistle and burying defenders into the turf. The AP second-team All-American doesn’t have quick feet and he’s not very agile, but he angles well on the edge and it’s tough to get him off-balance. Risner employs a long right stiff-arm on outside pass-rushers, latching on and then leveraging off of that, and he plays with a wide base, which allows him to grow roots against a bull rush. In the run game, the former Wildcat can generate movement off the line with a controlled forward lean and choppy feet, and sustains blocks using his strong grip and excellent core strength. He’s effective as a puller and targets well on the move. Risner could play at multiple spots on the offensive line: He started 13 games at center as a freshman, then played right tackle the next three seasons. Risner combines incredible consistency with excellent functional strength, a nasty temperament, and the ability to start at multiple spots in year one. Lacking foot quickness, he could struggle to handle speed rushers on the edge at the pro level, necessitating a move to the interior. Nickel pass rusher with the first-step burst and movement skills of an NBA power forward. Jones is an explosive, upfield-attacking defensive tackle with a quick first step out of his stance. He’s silky smooth as an athlete, using his flexibility and burst to slice through the line. He uses his hands well, striking and smashing away at the arms of offensive linemen to keep himself clean and moving upfield. His motor never stops running; even if he runs past the pocket, he’ll make second and third efforts as a rusher, chasing the quarterback or keeping his feet and hands moving against a blocker. In the run game, where he shoots gaps to disrupt run lanes, he racked up 13 tackles for a loss in 2018. But he lacks bulk to take on blockers at the point of attack; he’s thin in the lower half, and can get pushed around. He has a tendency to pop upright at the snap, opening himself up to blockers’ hands while limiting his leverage. Jones is an athletic, high-intensity interior rusher with the physical skill set to consistently disrupt the pocket. Every team wants that. He may be only a subpackage player early in his career until he builds more power in his base to play the run. His lack of production before 2018 could be a red flag. Mountainous run-stopper with loads of pass-rushing upside; possesses an extremely rare blend of bulk and quickness. Lawrence is a massive interior defensive lineman with a rare combination of girth, length, athleticism, and power. The former five-star recruit carries his weight well, coming off the snap with plenty of juice to put opposing offensive linemen on skates and shrink the pocket. Lawrence has active hands and a good swim move. He generates torque with long arms and a barrel chest, and always keeps his feet churning. He didn’t post eye-popping numbers in 2018 (1.5 sacks, 7.5 tackles for a loss, 37 tackles) but he consistently affected the quarterback, especially when lined up at nose tackle. In the ground game, Lawrence consistently pushes single-blockers into the backfield while holding his ground against double teams. He’s got plenty of ballast to man two gaps and is disruptive as a penetrating one-gap run defender. Lawrence’s floor is as a dominant run defender, but he brings the athletic potential to take a big jump as a penetrating pass rusher, too—giving him the ceiling of a three-down interior dominator in any scheme. He posted disappointing pass-rush numbers, and some teams may view him as a run-plugger only. Lawrence missed Clemson’s two playoff games after testing positive for ostarine, a performance-enhancing drug. Ball-hawking cover corner with the versatility to play outside or in the slot; returned two interceptions for touchdowns in 2017. Love is a patient, instinctive cover corner who’s comfortable playing both press and off-coverage, man and zone. The first-team AP All-American has great ball skills—processing route combinations, reading the quarterback’s eyes, and reacting quickly to the pass. Love knows how to reach around pass catchers to knock down a throw without drawing a penalty, and racked up an absolutely bonkers 36 passes defensed in the past two seasons to go with four interceptions. Love is silky smooth in his change of direction and can easily accelerate into a trailing position downfield. In the run game, he’s physical and displays effort, but too often overruns plays or gets sealed out of the action. Love has excellent instincts in coverage and elite ball skills. The former Golden Domer lacks size and may not have top-tier deep speed to carry receivers all the way downfield. Sinewy, long-limbed safety who has the skill set to line up and cover from multiple spots in the secondary. Thompson is a versatile defensive back who can play over the slot, in two-deep looks, and as a single-high center fielder. He’s got uncommon length for the position with a wiry, slim build that is advantageous in pass coverage. He has excellent agility, flexible hips, the speed to carry receivers down the field, and long arms to reach out and knock balls down or intercept passes. But his slight frame could make him vulnerable to injury at the next level, too. The first-team AP All-American has good ball skills—he picked off two passes, knocked down six more, and forced three fumbles in 2018—but his play recognition can be hit or miss. On one snap, he’ll read the passer’s eyes, pick up a route, and run it for the receiver before reaching up to make a big play; and on the next, he’ll get lured by misdirection or take a bad angle downhill. Thompson can play a single-high role in the NFL, but he may have to become more disciplined and consistent with his eyes before a team trusts him as the last line of defense. His floor is as a playmaking subpackage defender who can play in a "robber" role or line up over the slot. Some teams might even see a future at corner. Against the run, Thompson is aggressive and productive, flying around and looking to lower the boom on ballcarriers. He did lead with his shoulder instead of wrapping up at times, and he failed to break down in spots, overrunning plays or missing tackles. Thompson has the athleticism, ball skills, versatility, and competitiveness in coverage to make an impact from day one. He’s still inconsistent with his reads, and may lack elite speed and range to play a single-high role in the pros. Reliable right tackle who brings tenacity to the ground game and athleticism to pass protection. McGary is a tall, physical right tackle with a well-proportioned, muscular frame. In pass protection, he lacks top-end foot quickness but showed an ability to stick with rushers and run them past the pocket. He displays the strength to stymie bull rush attempts and anchor on the edge. There are times he gets outside too quickly on his pass-set, allowing pressure back inside. He plays with an enforcer’s mentality, and his competitiveness stood out at the Senior Bowl. In the ground game, the former Husky moves well and packs plenty of lower-half explosion out of his stance (as evidenced by his 33.5-inch vertical jump at the combine). He can generate push at the point of attack, and does a great job of running his feet to get defenders on their heels. He’s a bulldozer on down blocks. McGary was lackadaisical at times on the backside of runs, allowing his opponent to tackle the running back on a cutback, and got caught leaning and lunging on a few reps. Overall, though, he is a physical finisher who helped set the tone for the entire Washington line. McGary is a throwback run blocker who brings intensity and grit on every play; he has the size and temperament to play on the inside as well. With average foot quickness and a lack of arm length (just 32 and 7/8 inches), some teams could see him as a guard only. Consistent interior lineman whose combination of athleticism, physicality, and fundamental technique makes him a safe pick. Lindstrom is an exceptionally athletic—his SPARQ score was in the 95th percentile of NFL linemen at the combine—highly experienced, and versatile offensive lineman who started at both right tackle and right guard for the Eagles. He showcases excellent balance and top-tier foot quickness. The AP third-team All-American deftly picks up stunts and shows awareness of late blitzers. He uses his hands to grapple while coordinating his hips and feet to seal defenders from the action. He lacks top-shelf power and can get pushed into the pocket at times by stronger defensive linemen. In the run game, Lindstrom moves easily in wide zone looks and he targets well at the second level. He plays with plenty of grit, and while he’s not going to create a ton of push at the point of attack in gap or power schemes, his athleticism and footwork make him a great fit in a zone-blocking scheme. Lindstrom doesn’t have one defining elite trait, but he’s got a combination of characteristics that offensive line coaches are always looking for: He’s highly athletic, durable, consistent, tough, and versatile. He lacks pure power to move people in the run game and may fit best in a wide-zone-running team. Physical runner who consistently creates yardage with his distinctive combination of balance, agility, and short-area burst. Singletary has a compact, sturdy frame and pistons for feet. He combines a well-rounded repertoire of human-joystick-like jukes with rugged tackle-breaking power and racked up an incredible 4,287 career rushing yards at FAU. He has a nose for the end zone and led the nation with 32 touchdowns in 2017 before punching in another 22 last year. Singletary draws on innate anticipation, deft footwork, and lateral explosiveness to consistently leave defenders lunging for clouds of smoke. He’s got excellent vision and plenty of patience as a runner, letting his blocks set up before making his cut. He has extraordinary balance through contact and regularly powers through lower-body hits as he slaloms through second-level defenders. The diminutive back wasn’t used in the passing attack much in 2018 (he had just six catches) but showed potential to be a dynamic pass-catcher in the previous two seasons. He’s physical and tenacious as a pass-blocker. Singletary is an absurdly elusive creator out of the backfield with the toughness, physicality, and reliability to start from day one. He still has to prove his worth in the passing game, lacks top-end speed in the open field, and put plenty of milage on the odometer over the past two seasons. Cornerback convert with the speed, agility, and ball skills that teams look for in a free safety, but his instincts over the deep middle remain a question mark. Adderley’s an explosive, field-fast free safety with top-tier range and ballhawking talent. The converted former cornerback plays the position with a receiver’s mentality, going up high to pluck the ball away from opponents. That may be best illustrated by one play from the 2017 season, when Adderley did an Odell Beckham Jr. impression, reaching up and grabbing a pass one-handed before landing on his back. He played primarily at the single-high spot while intermittently dropping down into the box or over the slot. Adderley has good size, excellent athleticism, and brings the potential to play the centerfield role in the pros—but he is still developing his play-recognition skills. His tape is peppered with instinctual plays, but there’s a few too many snaps where he’s slow to react or tricked by misdirection. In the run game, he’s aggressive and physical, flying downhill to deliver hits. He does take poor angles at times and occasionally comes in too hot and overruns the ballcarrier. Adderley has the physical tools to develop into a coveted single-high safety at the next level. His instincts and play-recognition were hit or miss, and he faced a lower level of competition relative to his peers at Delaware. Tall, long-armed press corner who showed no fear lining up across from opponents’ top receivers during his time at Vanderbilt. Williams is a confident, competitive outside corner with extraordinary height and length. He’s very good in press coverage, where he displays patience, physicality, and an effective punch to jam receivers at the snap, disrupting their routes and throwing off timing. Williams flips his hips quickly to mirror and carry pass catchers downfield in trailing position, and he has a knack for reaching into passing lanes to knock the ball down. Williams is vulnerable if he misses the jam or fails to get a hand on a receiver, as he lacks the top-tier deep speed to recover against faster receivers. But his length can help make up for that shortcoming; even if a receiver has a step on Williams, quarterbacks are going to have to fit a pass into a tight window to get it over the corner’s outstretched arms, because the former Commodore showed off a natural sense for when to turn and find the ball in the air. He racked up four picks and 13 passes defensed in 2018. In off-zone or bail-coverage looks, Williams does a good job of keeping his eye on the quarterback to jump or undercut deeper routes, but he can be a tick slow to close on underneath receivers. Against the run, Williams isn’t as physical of a tackler as his size would imply. He frequently fails to break down, causing him to miss tackles in space or overrun them completely. He throws his shoulder instead of wrapping up. Williams has the size, length, and swagger to be an early impact playmaker in a press-heavy scheme. He’s a beat slow to close on underneath routes, and lacks deep speed once he’s been beaten at the line. He’ll need to play in a press scheme where he can maximize his size and skill set. Ultraconfident corner who showed out at the Senior Bowl; has the size and versatility to play multiple schemes or techniques in the NFL. Ya-Sin’s a tough, playmaking cornerback with length and swagger. His footwork is still raw in press-man coverage—he cedes ground and flips his hips before he needs to—but he’s aggressive and sticky in coverage downfield nonetheless. Ya-Sin’s comfortable bailing at the snap, where he can play in half-turn technique and keep his eyes on the quarterback and receivers’ routes. He’s extremely quick to gear down and change direction defending comeback routes (contradicting his poor three-cone test at the combine) and has a nose for the ball, with two interceptions and 12 passes defensed in 2018. He’s inconsistent in turning to find the ball in the air—at times, he’ll run the receiver’s route and look back right as the pass is thrown; at others, he’ll be late to turn or just face-guard his opponent. Ya-Sin is physical against the run and does a good job of forcing ballcarriers back inside but gets caught throwing his shoulder and not wrapping up. Ya-Sin has the physical and mental makeup to develop into a top-tier cover cornerback. He’s raw, with just one year of FBS starting experience, and lacks elite deep speed to carry receivers downfield. Power rusher with a massive frame, heavy hands, and an unquenchable thirst for getting after the quarterback. Ferguson is an ultraproductive pass rusher who set an NCAA record with 45.0 career sacks, including 17.5 in 2018. He lacks an explosive first step and is stiff at the top of his rush, but his feet never stop churning and he has a reliable repertoire of moves. He employs a good push-pull-rip move, a powerful hump move, and uses his long arms and strong hands to chip away at a tackle’s edge throughout the game—wearing away at his opponent while flattening the arc and creating a straight line to the quarterback. He brings potential for scheme versatility after rushing out of both two- and three-point stances at Louisiana Tech. Against the run, his effort comes and goes, but he has the frame and strength to set the edge and projects as a three-down strong-side end or outside linebacker. He’s big, athletic, and showed a flair for finishing. His record-setting college production is tough to ignore. He’s not twitched up athletically and doesn’t consistently show the ability to bend around the corner. Ferguson tested very poorly in agility drills at his pro day by registering a 5.12-second short shuttle and an 8.08-second three-cone—both of which would’ve been dead last at the edge position at the combine. He was convicted of simple battery in college. Sanders has fluid athleticism, a balanced skill set, and produces yards after contact. The former five-star recruit flew under the radar sitting behind Saquon Barkley for much of his college career, but he showed off his talent in 2018 when he took over the lead role. He runs with excellent patience, drafting off lead-blockers before exploding through a crease or into open field. He boasts explosive acceleration, using sharp cuts, quick feet, and excellent balance to elude tacklers laterally. He’s got the quickness to run around defenders, the hops to hurdle over them, and the balance to plow through them—but lacks that extra burst to hit the home run. In the passing game, Sanders was primarily used as a swing-pass and dump-off option, but showed the ability to line up in the slot, run routes naturally, and get downfield on a wheel route. In pass protection, he squares up to meet blitzers in the hole with authority, keeping his feet balanced and his base wide to absorb first contact. He has minimal wear and tear on his body, with just 276 career carries. Sanders’s explosiveness and elusiveness aren’t on par with Barkley, but he’s the same style of three-down back—able to create yards on the ground and contribute in the passing game. He’s not a home-run hitter, and he can get himself in trouble trying to bounce outside instead of just getting the ugly yards downhill. Sanders fumbled 10 times on just 308 college touches. Explosive pass-catcher with rare juice and dynamic yards-after-the-catch talent. Campbell is an elusive playmaker who did most of his damage on sweeps, screens, slants, and drag routes. He is explosive with the ball in his hands, able to hit a home run from anywhere on the field thanks to turbo-charged acceleration, fluid agility, and track speed. The former Buckeye notched three plays of 60-plus yards in 2018, tied for fourth in the country. He’s deadly on crossing routes versus man coverage and consistently runs away from defenders while taking second- and third-level defenders’ pursuit angles out behind the woodshed. He has the speed to stress a defense horizontally both before and after the snap, but is still raw as route-runner downfield and ran a very limited route tree. He’s experienced on kick returns. He can get lazy on routes away from the action and didn’t offer much as a run blocker. Overall, Campbell has the speed, hands, and open-field moves to be a big-play gadget weapon and kick-return specialist early in his career. He could blossom into a star if he can prove he’s a vertical threat. Campbell has rare speed, big-play potential, and is just scratching the surface of how he can be deployed in an offense. He’s still raw in his routes, and most of his catches came at or near the line of scrimmage. He’s more of an athlete than a receiver at this point. Easy-moving mauler in the run game who has the quick feet and athleticism to develop into an elite pass protector. Edoga is a smooth, athletic tackle prospect with nimble feet, long arms, and a mean streak. The former five-star recruit was a stalwart on the right side of USC’s line in 2018 and then stood out playing both left and right tackle at Senior Bowl, winning honors for top overall practice player at the event. Edoga displayed smooth footwork and excellent mirroring skills in college to carry speed rushers around the arc. He is sloppy with his punch—winding up and throwing haymakers instead of jabs to the inside of his opponents’ pads—but packs tons of upper-body power to control opponents when he’s able to latch on. He makes up for lack of prototypical height with very long arms and gave up just four pressures on the year, per Pro Football Focus, finishing the year tied for first among draft-eligible tackles in PFF’s pass-blocking efficiency. The former Trojan can get a little too upright in pass protection—even leaning backward times—which opens him up to the bull rush, but despite a few technical issues, he managed to get the job done on a consistent basis. In the run game, Edoga knows how to fire out into the defensive line with physicality and force. He’s lightning quick out of both two- and three-point stances and is fluid as a mover in zone runs, able to reach and seal on the backside or target second-level defenders downfield. He is always looking for work and plays with an edge, chirping at opponents after the play is over. Edoga has a sought-after combination of nimble footwork in pass-protection and nasty temperament in the run game. He lacks height for the tackle position. Questions about his maturity arose after he was ejected during a game in 2016 for making contact with an official. Versatile lineman who gets the job done with workmanlike consistency. Jenkins is a well-balanced lineman with long arms and strong hands who started at center, left tackle, right tackle, and left guard. In pass protection, the former Bulldog drops a heavy anchor and holds up against the bull-rush. When uncovered, he shows good awareness of where the rush is coming from, and keeps his head on a swivel, his feet moving, and his knees bent while picking up stunts or helping out his teammates. He gave up penetration against speed rushers at times, but did a good job of sticking with the play to carry his opponent out past the quarterback and pocket. In the run game, Jenkins is not a pure power blocker, but he moves downfield well to engulf second-level defenders. Overall, Jenkins’s tape doesn’t wow you, but his consistency shows up snap-in and snap-out. He could start immediately at all the interior offensive line positions with the added bonus of experience at both tackle spots. Jenkins has prototypical size and length, experience against top SEC defensive linemen, and the versatility to play multiple spots. He struggled with speed rushers at times and lacks power as a run blocker. Tough, sturdy defensive lineman with a tool box of power-rush moves and the size to play all over the line. Collier has a compact frame with thick, muscled lower half and very long arms. He’s not twitched up as an edge rusher, but plays with excellent effort, good flexibility, and overwhelming strength, and employs a variety of power-based rush moves from both two- and three-point stances. He’s got a deadly long-arm stab, a devastating hump move, and a very good push-pull-rip to complement his go-to bull-rush. He’s versatile and has potential as an inside rusher in subpackage looks. He’s a scrapper against the run and uses his long arms to stack defenders at the point of attack and keep them at arm’s length while anchoring on the edge. There are times his aggressive play style works against him and he can lose track of the ball in run defense. Collier is tough, physical, versatile, and reliable—and his strength and hand use give him the potential to be a disruptor on both the edge and on the inside at the NFL level. He’s not a special athlete, lacks height, and may be viewed a tweener—too slow for the edge and too small the interior. Rare athlete who plays a physical brand of coverage on the outside. Dean is big, physical outside corner with supreme athletic ability and extraordinary length. He has a high-cut body type with long legs and a short torso, but he plays with good balance and knee bend which allows him to change direction quickly and mirror in coverage. Press coverage is Dean’s forte: He’s patient and lets his opponent make a move before opening his hips, which helps him maintain position and keep proper leverage. He’s physical and disrupts routes and timing in the first five yards with long arms and strong hands, and in trail position, he knows how to use his height, length, and sideline to his advantage. Dean primarily lined up outside at Auburn, but did get some reps in the slot. He lacks short-area quicks, but even when he’s beat, he displays excellent closing speed on the ball. Dean grabbed two interceptions and 17 passes defended in the past two seasons. He’ll need to develop more intensity in the run game in the pros. Dean is physical in coverage, but he’s less aggressive against the run and gets pushed around by downfield blockers at times. Dean boasts a rare combination of height, weight, and speed, and has all the traits to develop into a shutdown corner at the next level. He’s had three major knee injuries going back to high school, which casts doubt on his long-term durability. He lacks suddenness in the short area, and may fit best in press-heavy schemes. Slim, playmaking corner with long arms, short-area quicks, and a knack for knocking passes away. Lane is a wiry, thin-framed corner who plays with the aggressive demeanor of a player twice his size. He lined up in multiple coverage looks for Michigan State: In press, he’s a fluid mover who can flip his hips and run with a pass catcher, and he showed a good feel for when to turn and find the ball when in trail technique. In off-looks, the former receiver (he made the switch to defense as a freshman) shows high-level understanding of route concepts and combinations, which helps him anticipate throws. His long arms and instincts make him a terror at the catch point, and he racked up 23 passes defended in the past two years. He will false step at times, though, and may need to clean up his footwork at the next level. Against the run, he lacks oomph as a hitter and can get sealed away from a play. Layne boasts an intriguing combination of length, instincts, top-tier agility, and ball skills; he’s still raw, but has untapped potential as a playmaker on the outside. He may lack deep speed to carry receivers deep, and his spindly frame could lead to durability concerns in the NFL. Extraordinarily explosive and versatile safety with range, instincts, and production. Thornhill is a wiry, long safety prospect with top-tier athleticism and the skill set to line up all over the formation. The former cornerback has good range and a nose for the ball, with 13 career interceptions―including six in 2018―and 26 career passes defensed. He was deployed over the slot, in the box, and as a single-high safety, where he showed off traits that could help him earn centerfield duty at the next level. He displayed instincts, the ability to recognize routes, and fluidity and awareness to flip his hips and find the ball against post and seam routes downfield. Against the run, he flies downhill, eagerly filling the alley to bring down the ball carrier, but lacks mass and doesn’t deliver much pop as a tackler. Some teams could try him out at corner. Thornhill is a rare athlete with elite ball skills and the ability to line up all over the secondary. He has a thin, lanky frame that may struggle to hold up at the next level; he tends to dive at ankles instead of delivering a sound tackle. Ornery press corner with lightning feet who’s tough to shake downfield. Long is a fiery and physical press cornerback. He jabs and spars with receivers at the snap before transitioning smoothly, strafing laterally or flipping his hips to match steps with his opponent. He shows easy confidence in coverage, maintains subtle contact with the receiver throughout the route, and was rarely targeted in 2018. Long displays the ability to mirror and trail receivers from the slot, and while he may lack elite long-speed deep, he’s almost never beaten by quickness. He could have a future in the slot but may need to be more subtle with his hand-fighting at the next level to avoid penalties. Long sticks to receivers like glue while playing an aggressive and physical brand of coverage. He lacks length, with just 30.75-inch arms, and has a slight frame; he rarely played off coverage and may need time to adjust to other scheme techniques. Big, athletic defensive end who dominates against the run and packs power as a pass rusher. Allen is an athletic defensive end with massive size and an intimidating on-field demeanor. If you squint, the former Boston College standout looks a little like J.J. Watt; he’s not nearly as explosive as the three-time Defensive Player of the Year but does possess good first-step burst, pack plenty of power in his hands, and know how to use his length as leverage. Allen has to win early in his rush or he can get stalemated, and, while he’s not consistently going to threaten the edge against pro tackles, he showed he can get to the quarterback with a repertoire of block-beating moves, including a strong swim move and powerful club-rip. He’s a dominant run defender and has notched 40.5 tackles for a loss in the past three seasons. His massive wingspan gives him a wide tackle radius and helps him stack linemen and shed blocks. He knocked down seven passes and blocked two kicks in 2018. He projects as a strongside defensive end in a 4-3 or 5-technique in a 3-4. Allen combines size, athleticism, positional versatility, and power; he should be a high-floor contributor to any line. He lacks explosiveness as a pass rusher and struggles to bend and change directions. Springy, electric pass catcher with explosiveness off the line and elite downfield speed. Hall boasts elite downfield speed; the former Tiger is an electric deep threat who averaged 23.6 yards per catch over the past two seasons. He has excellent foot quickness and uses jukes, head fakes, and his hands to discard press coverage and push downfield. Against off-coverage, he eats up a cornerback’s cushion in a hurry and often runs right past his defender. Hall is agile after the catch, able to make defenders miss and pick up extra yards. He could stand to be more aggressive at the catch point, too often waiting for the ball instead of attacking it. He’s not much help as a blocker and may need to take his play demeanor up a notch or three in the NFL. He’s best paired with a signal-caller who’s not afraid to unleash passes deep and who throws with anticipation. Hall has the take-the-top-off-a-defense speed that teams will have to account for on every snap. He struggled with drops at times and is still raw as a route runner. Undersized but explosive home run hitter with a distinctive slashing style. Henderson is a speedy, elusive, and astoundingly productive back who averaged 8.9 yards per carry over the past two seasons while racking up 3,584 scrimmage yards and 36 touchdowns along the way. The AP first-team All-American can deliver some pop, has good contact balance to break through arm tackle attempts, and led the draft class in yards after contact per carry, per Pro Football Focus. He’s a slashing, slalom-style runner who seeks daylight and often finds it. He’s explosive in the open field and quickly gets up to top speed when he sees even a sliver of daylight. The former Tiger led the country in runs of both 20-plus yards (27) and 40-plus yards (12) in 2018. He sets up his blocks at the second level, peeking one way to get a defender to commit before cutting the other direction to break free. Henderson was frequently deployed taking direct snaps in wildcat looks and has upside as a pass-catching threat with 63 receptions and eight touchdowns in his college career. He’s not the most laterally elusive back and won’t make many defenders miss behind the line of scrimmage. Henderson can create explosive plays from anywhere on the field and should be a factor in the passing attack. He lacks size, and some teams may see him as best suited for a complementary role. Smooth athlete with the speed to take the top off a defense and the jump-ball skills to win at the catch point. Boykin is a supreme athlete with the combination of size, physicality, and athleticism to develop into a prototypical X receiver. The former Notre Dame standout is sudden off the line and has no trouble beating press coverage to get downfield. He has long-striding speed downfield, shows awareness of the sideline on catches, and is adept at using his size and positioning to draw pass interference penalties. He’s a strong route runner who doesn’t betray his intentions before making his cut and has very good hands, regularly plucking the ball away from his frame. He can contort in the air to bring down an off-target pass. In the run game, he’s an aggressive blocker who sticks with his assignment all the way through the whistle. Boykin is an elite athlete with big frame who’s just scratching the surface of his potential. He didn’t post gaudy numbers and needs to be more consistently aggressive at the catch point. Undersized but ultraproductive pass catcher with lightning feet and take-a-top-off-the-defense speed. Isabella has a compact, muscled frame and boasts track speed. He’s quick off the line, and while some teams may see him as a slot receiver only, he played all over the field for UMass and was a dangerous downfield threat who tied for the national lead with 11 receptions of 40-plus yards. Isabella has impressive acceleration off the line, can change direction on a dime, and is elusive after the catch, creating yards for himself on screens. He shows excellent awareness on catches near the sideline to keep his feet inbounds, and because corners respect his deep speed, he’s good on comeback routes and hitches. He had some trouble with drops, will need to avoid body-catching at the next level, and has a small catch radius. Isabella pairs elite deep speed and human-joystick-like agility in the short and intermediate zones; he was wildly productive in college. His small frame could cause durability concerns and some teams may see him as a slot receiver only. Rangy, tenacious off-ball linebacker with excellent quickness and top-tier tackling prowess. Cashman is a compact, athletic linebacker prospect with good play speed, range in coverage, and excellent production. The former Gopher attacks the run with fury, sifting through the trash to get himself into position and taking on blocks with ferocious attitude. He’s quick to react and can slip off blocks to make tackles. He is strong coming downhill and racked up 15.0 tackles for a loss and 2.5 sacks in 2018. He struggled at times with identifying misdirection. While he lacks length, he makes up for it in fundamental tackling technique. In coverage, he shows awareness in zones and the instincts to read route combinations but may be overmatched against bigger, longer tight ends in man coverage down the seam. He has the athleticism to carry running backs out of the backfield. Cashman has outstanding sideline-to-sideline speed and is an extremely reliable tackler. He’s slightly undersized and may be limited to playing on the weak side in the NFL. Long, well-built defensive tackle with an intriguing blend of athleticism and power. Wren is a massive, muscled-up defensive lineman with an explosive first step and a shocking punch. He fires out of his stance at the snap to knock offensive linemen back into the pocket, but his sack production was disappointing as he lined up primarily at the nose tackle spot. Technique-wise, he is more of a bull in a china shop than a disciplined, fundamental rusher at this point in his career. When his initial surge is stopped, he often pops upright, loses his leverage, and gets washed out of the play or knocked off his feet. His draft stock is connected to where teams project him at the next level: Because of his top-tier athleticism, he has a high floor as a penetrating, gap-shooting three-technique defensive tackle, where his quick-twitch burst and power can be better utilized. Wren has elite athletic traits, massive size, and plenty of length. He lacked in production, grabbing just 3.0 career sacks, and needs work on his pass-rushing technique. Long, rangy linebacker with the size and skill set to excel against both the run and pass. Pratt is an athletic, versatile linebacker who is a consistent and reliable tackler and an excellent blitzer. He showed a nose for the ball for the Wolfpack, racking up 104 tackles—including 10 for a loss—plus three passes defensed and two forced fumbles in 2018. The former safety understands how routes develop in coverage and showed off excellent effective range and a smooth transition to trailing position to carry running backs or tight ends downfield. When lined up over the slot, he is physical at the line of scrimmage, jamming and rerouting pass catchers. He can slice through the line and finish as a blitzer, and notched 6.0 sacks last season. He has very good closing burst and tackle radius and the potential to play inside or outside in both 3-4 and 4-3 schemes. He takes on blocks with a far-too-upright technique, though, leaving him susceptible to getting knocked back or sealed out of the play too easily. He’s still raw at the position, and there may be a learning curve in the transition to the pros. Pratt is strong against the run and smooth in coverage, and he offers tantalizing upside as a dynamic blitzer and situational pass rusher. His block-shedding technique needs work, and he’s still learning the intricacies of the position. He’s a pickup truck of a running back: reliable, rugged, and versatile. Harris is a tough, physical back with good size and a thick, muscular build. He lacks explosiveness and top-tier change-of-direction skills but picks up yards with a combination of vision, burst, quick feet, and an innate feel for his blocks. He has very good forward lean and keeps his feet churning like pistons after contact. The former Tide playmaker is dependable as a receiver, with soft hands and the ability to create yards after the catch; in pass protection, he positions himself well but at times needs to sustain blocks longer. He played in a committee role with teammate Josh Jacobs and won’t wow you but projects as a reliable pro running back capable of playing on all three downs. Harris doesn’t have any major holes in his game, has played against top competition, and will bring toughness and versatility at the next level. He’s a jack of all trades and master of none. Measurement data and player statistics via cfbstats.com, school bios, and NFL combine results. Which Teams Could Actually Choose a Quarterback in the NFL Draft?